CDQ is known to be one of the most active and hardworking acts in the industry. His rate of release is even more impressive when one considers the consistency with which his songs become bangers on the street. It is expected that ‘Shey Normal‘ does same. ‘Shey Normal’ was produced by Philkeyz, a producer whose reputation has been on the rise since his brilliant work with Kiss Daniel, hit the market. 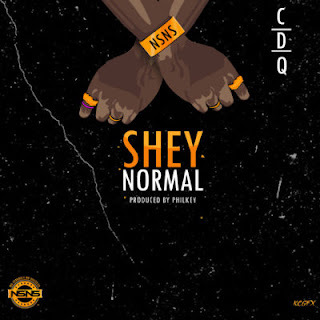 On Shey Normal, he delivers another classic beat which CDQ delivers his best on. No doubt, the new record is a potential hit.